The Red Lion pub and locals raise funds for Devon’s helicopters at Sidbury Fun Veg & Flower Show. Fruit and veg fans shared their home-grown wares on Saturday 25th August at the Red Lion Pub, Sidbury, raising £760 in support of Devon Air Ambulance. 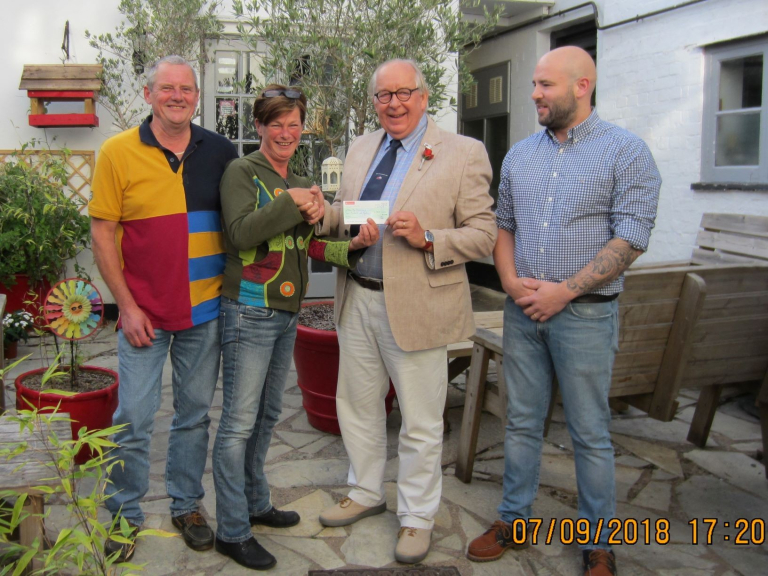 The Sidbury Fun Veg and Flower Show committee, based at the Red Lion Pub, were delighted to present the cheque to Devon Air Ambulance volunteer, Simon Card, last week. 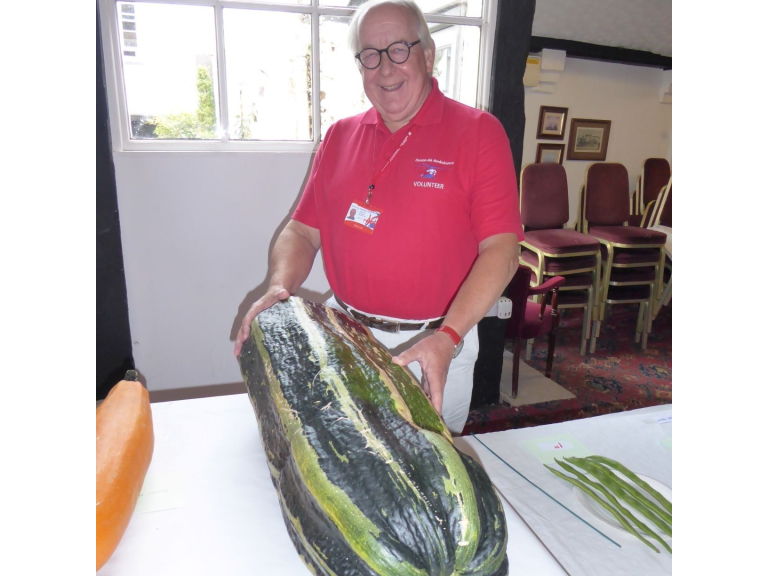 Prizes for the winning veg and flowers were awarded to successful entrants across several categories by volunteer Simon Card, with the ‘Comic Veg’ category in particular providing a good deal of amusement to assembled crowds. The Red Lion Pub has raised funds for DAAT over many years and a number of people from the area who came along to the show felt personally connected to the charity’s Founder, Ann, and her son Ceri Thomas whom Ann lost in the fatal car accident in the village 26 years ago. The Sidbury Fun Veg & Flower Show is an annual event, which the committee is keen to support next year.